Logistics mammoth DB Schenker has been penalized by Cologne's prosecution authority for consecutive cases of corruption in St. Petersburg, Russia, bribing local customs officials from 2010 to mid-2012. Due to the scandal, top executives of the Deutsche Bahn subsidiary had previously lost their jobs. The penalties laid down by Cologne's judicial watchdogs, payable by DB Schenker, comprise a rather moderate €2 million, which is little compared to similar criminal cases. This, because it was railway company Deutsche Bahn that informed the court about the case before any official investigation had started, making a leniency application and offering their full assistance to clarifying the circumstances of the issue. Car producer Ford could be convicted, too, since investigations have evidenced an involvement of the company in the case as well, judicial sources indicate. To make a long and nasty story short: in order to speed up the normally extremely slow customs clearing process, very common in Russia, DB Schenker offered to pay local tax collectors a ‘special fee’ for getting the goods cleared fast, this way avoiding car parts getting stuck for weeks at warehouses at the city's harbor. A key issue for carmaker Ford that runs a production plant near St. Petersburg. If the flow of components and parts gets stuck or the delivery becomes unpredictable Ford’s factory is facing a major problem. 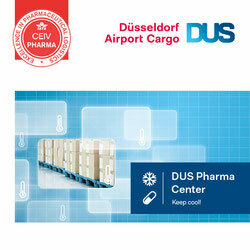 In the case of DB Schenker and Ford, the money was not handed over to the customs officers directly. Instead, Schenker involved a Russian agency for enabling the rapid flow of shipments to Ford’s St. Petersburg facility. 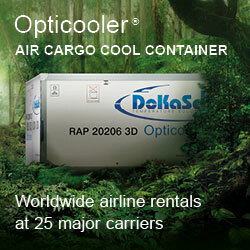 This had a price tag, costing DB Schenker one million USD per year. Once the “service fee” deal was sealed, the logistics firm transferred the funds to accounts in Switzerland and Cyprus that belonged to a finance holding, registered in the Caribbean and owned by the “helpful” Russian agency. 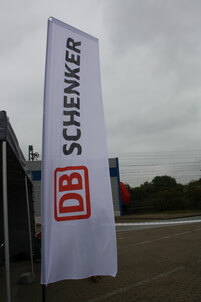 This way, DB Schenker transferred up to €2.25 million to their Russian helpers within 2.5 years. How much of this money landed ultimately in the coffers of St Petersburg's customs officials was not part of the Cologne investigation. In order to shed light on these practices the attorney in charge needed to send Moscow a formal request for mutual assistance in criminal matters. But in view of the widespread corruption the chances of getting support were almost negligible. The DB Schenker managers fired, among them former CEO Thomas Lieb, were fined €100,000. A rather moderate fine as well.